For summary explanations of the standards and practices for reporting values of investments classified as "Level 3" assets based on absence of market pricing, see the "Notes" sections of the fund reports linked in footnote #1 of the September 30, 2015 Forum Report: T. Rowe Price Valuation of Challenged Dell Appraisal Rights. The Securities and Exchange Commission in recent months has been asking more questions of large fund firms about how they value startups and whether their process ensures an accurate estimate of a company’s worth, the people said. The SEC conducts occasional checkups of mutual funds in which they examine things such as the proportion of funds’ holdings that are in hard-to-sell securities, which include shares of private companies. The amount of hard-to-sell shares is an indicator of how easily a mutual-fund investor would be able to get his or her money back. Some SEC examiners have shifted more of their focus in those regular reviews to possible shortcomings in the startup-valuation process, the people said. Accurate pricing of securities is fundamental to the mutual-fund business, and millions of investors rely on precise valuations to figure out how much their holdings are worth. Fidelity Investments, T. Rowe Price Group Inc. and BlackRock Inc. are among the biggest money managers investing in private tech companies. The scrutiny comes as big money managers have been loading up on shares of private companies over the past several years, investing in hot startups such as Uber Technologies Inc., Dropbox Inc. and Airbnb Inc. Five of the biggest fund firms participated in funding rounds worth a combined $8.3 billion this year as of Sept. 30, up from $1 billion for the full year of 2011, according to data from venture-capital research firm CB Insights. But mutual-fund firms are struggling to value the startups and frequently report different prices for the same company, The Wall Street Journal reported in a front-page article last month. According to a Journal analysis of data provided by fund-research firm Morningstar Inc. of startups worth at least $1 billion, there were 12 instances over the past two years in which the same company was valued differently by more than one mutual fund on the same date. In the quarter ended June 30, for example, Fidelity said car-sharing service Uber was worth $33.32 a share, Hartford Financial Services Group said it was $35.67 a share and BlackRock valued the company at $40.02 a share. Spokesmen for Fidelity and BlackRock have said that they employ rigorous valuation processes for pricing private holdings. A spokeswoman for Hartford has declined to comment. Mutual-fund firms use different processes and procedures for valuing startup companies, unlike typical securities that track an index, The Journal has reported. Sometimes funds place a price on a startup based on its most-recent funding valuation, and other times they base the price on similar publicly traded companies or other market movements. Often the process is made more complicated because the fund companies aren’t all receiving the same information from the startup, money managers have told The Journal. Fund companies don’t disclose the process they go through for valuing the startup shares, generally citing competitive reasons. There is growing concern in the technology sector that private shares have become too bloated, and that some recent technology IPOs have been priced at less than the latest private valuation of the companies. In September, Fidelity marked down the estimated value of its stake in Snapchat, the chat startup, by 25%, according to a monthly report from Fidelity. A spokesman for Fidelity declined to comment on the change. The SEC hasn’t directed its examiners to focus on mutual-fund firms’ pricing of private companies, said the people familiar with the matter. The scrutiny is not being handled in the agency’s enforcement division, which brings civil cases against companies and individuals. The SEC has said that as part of its examination priorities for investment firms for 2015, it would look more closely at “alternative” investments whose returns don’t track the stock market and have experienced “rapid and significant growth,” according to a public regulatory document outlining the priorities. In particular, the agency said it would look closely at liquidity and valuation policies. In their latest reviews, SEC examiners have focused on the steps fund companies are taking to make sure the values are appropriate, the people said. Examiners, who are questioning fund managers as well as independent board members of fund companies, are asking about the procedures and tools funds are using to land at the prices they are placing on the startups. Often that includes looking through documents and manuals outlining the processes that fund companies have in place, these people said. Mutual funds’ investments in holdings that are hard to sell—so-called illiquid securities—have increasingly become a focus for the SEC. By regulation, a fund is only allowed to hold 15% of its assets in hard-to-sell securities, a category that includes private-company shares. “Liquidity is a prime concern and is now at the top of [the SEC’s] list and right behind that is valuation,” Morrison & Foerster’s Mr. Baris said. 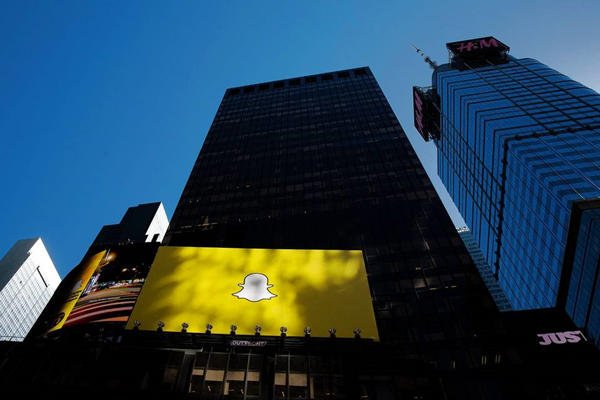 Fidelity Investments in September marked down the value of its stake in Snapchat by 25%. A previous version of this article misstated that Fidelity lowered its valuation of the company by 25%.